pecially hot topics right now, whether it be in regards to police brutality or the use of excessive force. It seems there is a clear line between people who respect them and people who despise them. But how does that choice come to be? We all make decisions based on information that comes our way, but what if everything we read in the media about police taking harsh action isn’t correct? What if these articles are missing key intel? Unless we were in an officer’s shoes, how can we really know what transpired? All of us have played—or at least are familiar with—the telephone game. In this, it’s easy to see how a message changes as it moves down the line. The same, too, I would suspect, is the case when it comes to reporting. But that’s only one way that information can get garbled, making it uncertain and difficult to claim as truth. Reports are also often colored by the viewpoint of a source. If that source is prejudiced against the police, it will immediately taint his or her reaction to a situation; before knowing any facts, the police will be cast in an unfavorable light. I’m not saying that police always make the right decisions; they are human, after all. There are even some corrupt cops. However, I feel that people need to appreciate that unless they are there, in the moment, there’s no way of truly knowing why a certain course of action was taken. As a result of my own respect for law enforcement, I have dedicated In the Line of Duty to all the fine men and women who serve or have served, and in memory of those who have made the ultimate sacrifice. While most of us would run from gunfire, they run toward it. That right there is enough to warrant my respect. Just imagine what the world would be like without police. In two words, utter chaos. A life of sacrifice to the higher good was what Madison had signed up for. 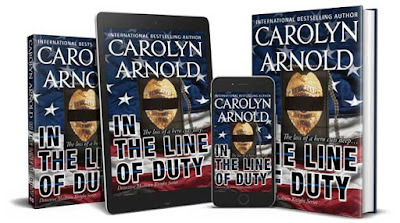 She’d defend the innocent and protect and serve if it took her life to do so, and she’d do it despite the way the media painted things to make officers look like the bad guys more often than not. They applied too much use of force to a situation, or they shot someone who wasn’t armed. 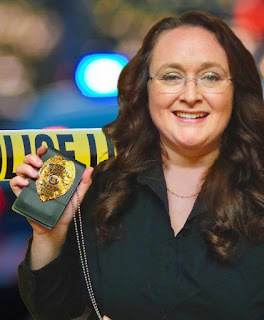 Meanwhile, it wasn’t disclosed that the officer approached a subject in the dark of night and the subject was holding a bicycle pump extended in the fashion of a gun. The officer had to make a split-second decision that, if it had been a loaded gun, the officer or his backup would have been shot. And rarely did the news share the stories of courage and bravery—how the actions of officers saved lives and put criminals behind bars. They never reported about the officers who resuscitated a woman who was clinically dead, saving her life while waiting on the local paramedics to show up. 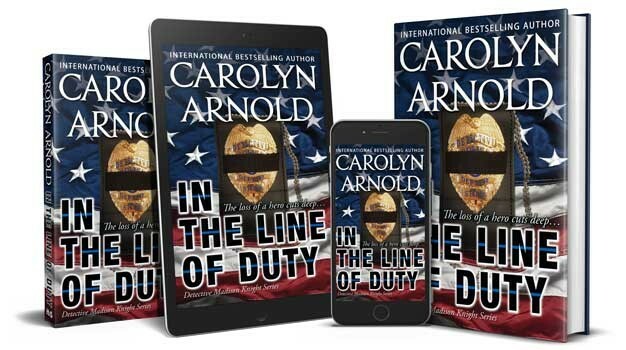 No—law enforcement always fell under the microscope of scrutiny and judgment, and yet she and her brothers put their lives on the line every day because it was what many of them believed they were born to do. Of course, there were some who viewed the job as simply that, but not her. Donning her badge wasn’t something she gave thought or consideration to each morning. It wasn’t an option. It was the same as putting on a pair of pants or brushing her teeth.